Pet Emergency? Call us right away at (972) 644-9397! If you live in Richardson or the surrounding area and need a trusted veterinarian to care for your pets – look no further. 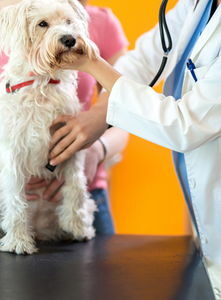 We are licensed TX veterinarians, treating all types of pets. Your pets’ health and wellbeing are very important to us, and we take every possible measure to give your animals the care they deserve. Animal Medical Center of Richardson is a full-service animal hospital and welcomes both emergency treatment cases as well as pet patients in need of routine medical, surgical, and dental care. We have years of experience treating serious conditions and offering regular pet wellness care. Beyond first-rate pet care, we make our clinic comfortable, kid-friendly, and calm, so your pet can relax in the waiting room and look forward to meeting our Richardson veterinarian. We are happy to offer a number of resources that enable you to learn about how to take better care of your pets. Please feel free to browse our site, particularly the informational articles. The best veterinary care for animals is ongoing nutrition and problem prevention, so becoming knowledgeable about preventative pet care is essential to the ongoing success of your animal’s health. If you have any questions, call (972) 644-9397 or email us and we'll promptly get back to you. Our Richardson veterinarian office is very easy to get to -- just check out the map below! We also welcome you to subscribe to our newsletter, which is created especially for Richardson pet owners. At Animal Medical Center of Richardson, we treat your pets like the valued family members they are. Feel Free to view our video. Learn more about our facilities and quality services we offer our patients. Meet our trusted and friendly staff and take a look around our hospital. We are excited to provide wellness care to your pets. FDA Investigating Possible Link Between Canine Heart Disease and Grain-Free Diets. Dee Shuttlesworth received her Bachelor of Science Degree from Texas Tech University and her Doctor of Veterinary Medicine degree from Texas A&M University. She established Campbell-Nantucket Animal Hospital (now the Animal Medical Center of Richardson) in 1990 and has been serving the Richardson and North Dallas communities since. Dr. Shuttlesworth's special interests include disorders of the skin and ears, feline medicine and surgery, diseases of the endocrine system (diabetes, hypothroidism in dogs, hyperthyroidism in cats, Cushing's disease and Addison's disease). She currently works with several local pet rescue organizations and shelters to help improve the quality of life of discarded pets, and to help them find permanent, loving homes. Dr. King received her Bachelors of Science degree in biochemistry from Worcester Polytechnic Institute in Worcester, Massachusetts. She completed her veterinary medicine training at Ross University on St Kitts and clinical rotations at Oklahoma State University. For the last three years, she has been working at the Emergency Animal Clinic in Dallas, TX as a full time emergency veterinarian. She is excited to join us in practicing preventative medicine and working to keep your pets healthy. Her interests include internal medicine and soft tissue surgery. On her time off, she enjoys spending time with her boyfriend, their two cats (Phelps and Gator), and two dogs (Dolly and Bart). Dr. Falagrady received both her Bachelor of Science degree and her Doctor of Veterinary Medicine degree from Texas A&M University. She has been practicing in Richardson, TX since her graduation in 2009 and currently resides here with her husband and their beloved fur babies (Ziggy, French Bulldog, pictured). She is looking forward to personally meeting everyone and their pets. Dr. Falagrady's special interests include shelter medicine and canine and feline dentistry. In her free time, Dr. Falagrady enjoys reading, shopping, and spending time with her family.